Looking for Sesame Street Episode 3279: "Telly Writes A Letter"
Yet another great trade with MuppetDanny. Always a delight to deal with. 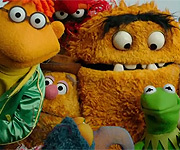 I've always loved his work and thought it would be great if he did the Muppets. Apparently, my wish came true! The one I had was definitely door sized. You might even say it was life-size. It was giant! Sure wish I still had it. I'll trade with you! I can send you a Statler & Waldorf Vinylmation for the Anniversary Kermit Vinylmation. PM me and we can work out the particulars. Hey Frogpuppeteer! I just sent you the video. Enjoy! Hi Ralph! I have a DVD of Wilkins Coffee Commercials. I have sent you an email. 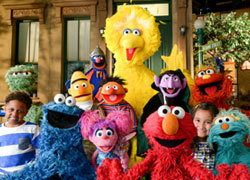 Your Thoughts: Sesame Street on "Are You Smarter Than a 5th Grader?" Walt Disney World annual passholder. They occasionally have special events or previews for passholders.